Royal Enfield bedazzled the motoring world with the Concept KX at the 2018 EICA show in Milan. The future of the Concept KX is yet to be decided as Siddhartha Lal, CEO, Eicher Motors, said in an interview to Economic Times that the company has no plans for bigger bikes at the moment. He added that the production version, if approved, will be bigger than the concept. Royal Enfield has no plans to go higher on the displacement ladder at the moment, but the Concept KX (pictured) is under consideration for the future. The company is currently weighing customer response about the Concept KX. It took us a decade from 350-500cc to do this. Going bigger is certainly not ruled out, but we have no plans right now because we think that this (the two new motorcycles) has a lot of leg for us in the 650cc segment in India and markets around the world. We’d rather do less things and do them really well, like the Classic. Some other manufacturers have different strategies, but we don’t need a wide range of products to fulfil our ambitions. We need a couple of really nice products, like what the Classic was and what hopefully the Interceptor will be. The concept KX which we showcased at EICMA (motorcycle show in Milan) is still a concept. We are gauging customer reaction and if we decide to put it in the market, it will be a bigger motorcycle than this, but we haven’t decided that as yet. 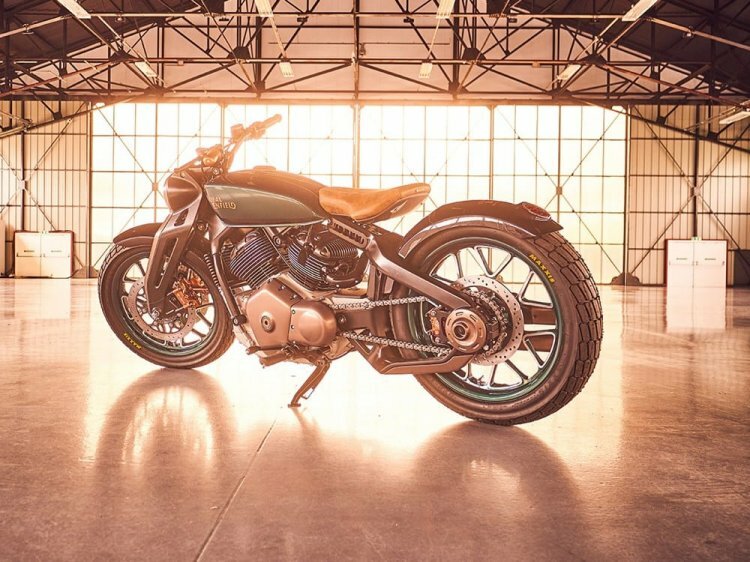 The Concept KX bobber is a modern reincarnation of the original Royal Enfield Model KX from 1936. The Royal Enfield Concept KX bobber features an elongated fuel tank, all-LED headlight with DRLs, chopped fenders, full-digital instrument console with Smartphone integration and turn-by-turn navigation, a single leather-wrapped seat, girder fork up front and a mono-shock at the rear. Lal also added that if the Concept KX goes into production, it will be a bigger motorcycle. 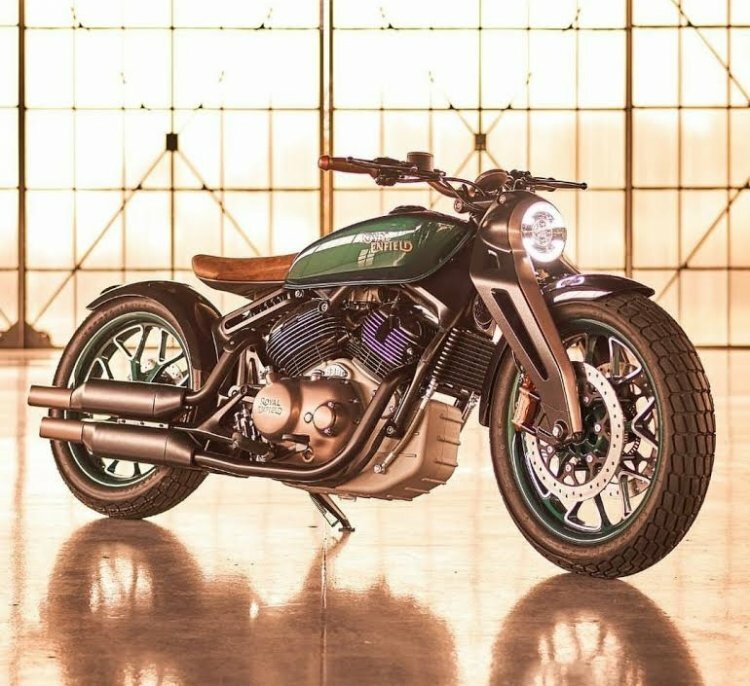 The concept features and a Harris Performance-developed chassis a new 838 cc V-twin motor that has been developed in the UK in collaboration with Polaris Industries. The engine reportedly develops 90 hp of maximum power and is mated to a 6-speed gearbox.